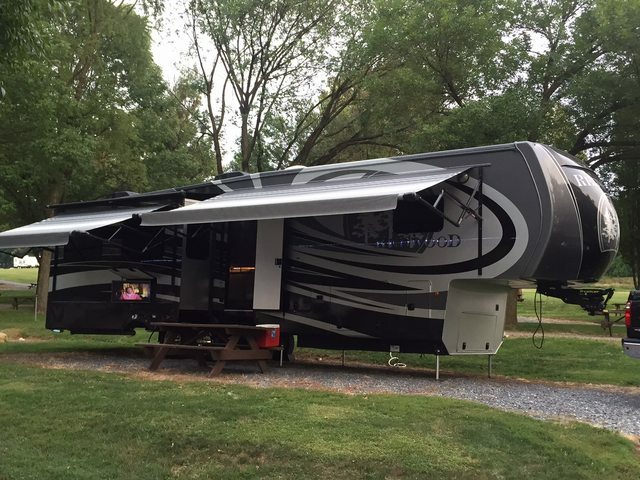 We are from the midwest and purchased a new fifth wheel in July 2018. After spending that season in a county park in Indiana our new home has became infested with Stink bugs!!! Has or is anyone else dealing with!! Our friends who were staying in the same park with us has the same issue! We have resided in Florida since November 18 and I am feeling desperate! In florida I have been told there is no spray to kill them! PLEASE if anyone has an answer!!! We have run into the same problem for 3 years. We pick them up in upstate NY every fall. We had a lot less this year because we carefully sealed up every place we thought they could get in. One place they love to hide is along the top and sides of pop outs. We now pull them in a foot or so and vacuum them all up before we head out. I have not found anything that kills them, so when they show up we vacuum them up. In our 10 years of fulltiming we've had the stink bugs a couple times, moths & lady bugs & you are correct, nothing kills them. I have a small shop vac that I placed an old knee high over the exhaust side that worked great. With all of the infestations it seemed that they multiplied faster than I could vacuum them up. I am no expert.... But I did stay at a Holiday Inn Express last night ! ! last fall in eastern Massachusetts we have way more then normal , not sure why but we have been finding them in the house all winter. Maybe 1 or two a week . Interesting to hear others having issues . They are probably box elder bugs. In the fall they are looking for a place to hibernate. They are harmless and don’t lay eggs in the unit. Come spring they will exit to find a box elder tree to lay eggs. The ladybugs also come in during the fall and are harmless. The stink bugs may be harmless but are VERY offensive smelling, both stink bugs & lady bugs are VERY annoying when filling your RW. We think we picked these little pests up while at the Rally in Indiana last July, and have had them ever since...like other said, a few a week. We have a dedicated plastic cup with lid that we capture them in and flush, or throw them back outside. We have been told not to smash them as that is when they stink?? ... Have not tried to do that.